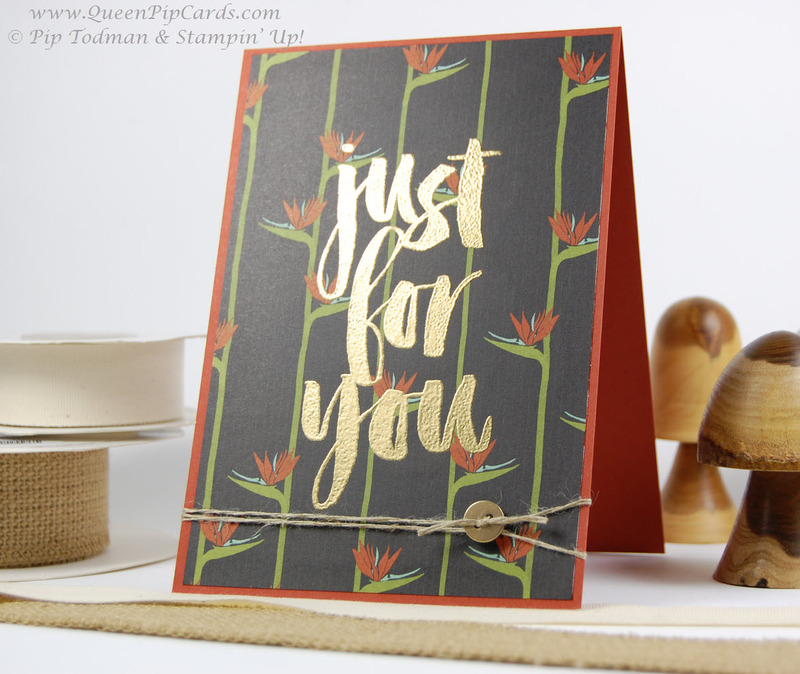 Just for You by Stampin’ Up! Hello crafters, it’s Sunday and six pm, so that means it must be time for my weekly blog post, Just for You! Which just so happens to be the name of a new Sale-a-bration special stamp set, that’s only available from 5th January! The Just for You stamp set is specially designed to coordinate with other products from the new Spring / Summer catalogue that launches the same day! You saw some of the coordinating product for Just for You in my sneak peek blog post that published yesterday, and here is more – I’m rocking it this weekend! 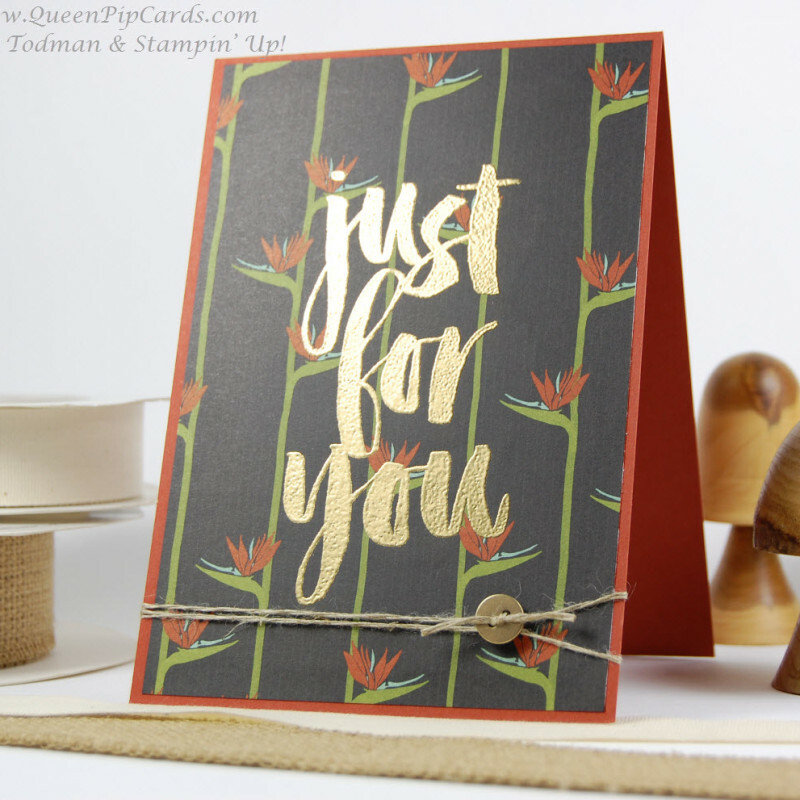 For this card, I simply embossed the sentiment in Gold Stampin’ Emboss powder directly onto the new Botanicals Designer Series Paper (yummy & bold). 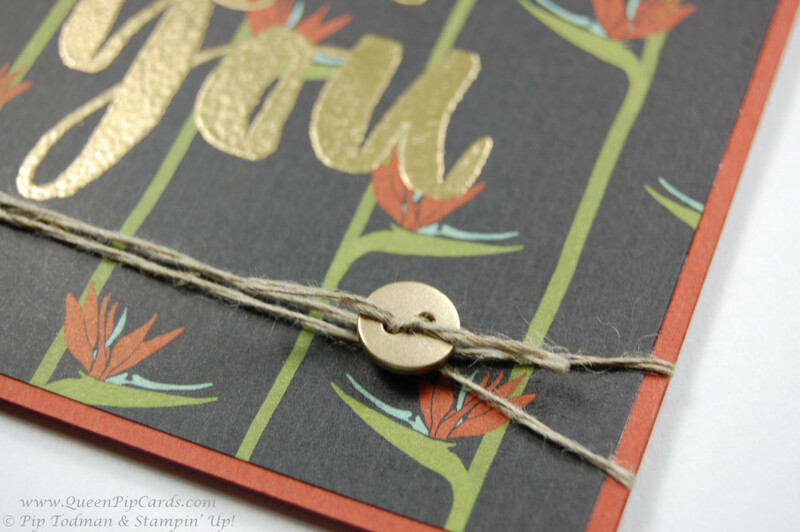 Cajun Crush for the card base, a bit of Linen Thread and a Gold Button and it’s a wrap! Really easy to do, but so striking I think. What do you think? Tell me below by submitting a comment and I’ll send you this card in the mail! You can see all the other items below and if you add the Designer Series Paper when it arrives you’ll be over the Sale-a-bration deal value of £45 and you can pick the stamps as your free gift!